Over the past decade, hundreds of accelerators, incubators, innovation districts, angel networks, coworking labs, and other ecosystem support organizations have sprouted in Virginia, all with the goal of propelling our region to the forefront of innovation and economic growth. Looking back, what have we learned? What works and what gaps remain? Are we solving the right problems and what do we have to show for it? The Entrepreneurial Ecosystems Conference is a unique, daylong summit for leaders from across Virginia to take stock and set the stage for even greater impact through data-driven presentations and lasting alliances.The As part of the Tom Tom Summit, this event seeks to propel our hometowns to the forefront of innovation and economic growth. Come hang out with the CO.STARTERS team and hear Enoch present. 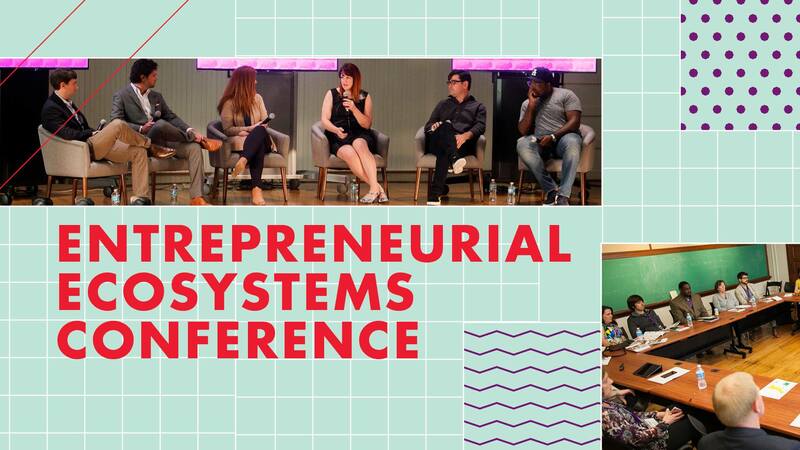 Learn more about the Entrepreneurial Ecosystems Conference here.